Silly title, I know. But I have three cards to share today. 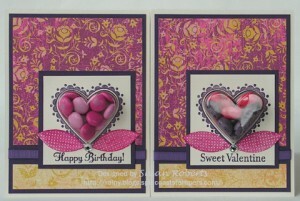 Two of them were inspired by others cards which I then CASEd. 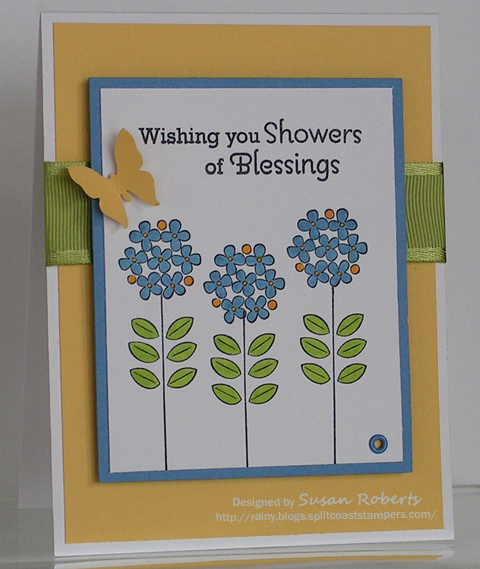 One of those was for the Inspiration Challenge this weekend at Splitcoaststampers (SCS). 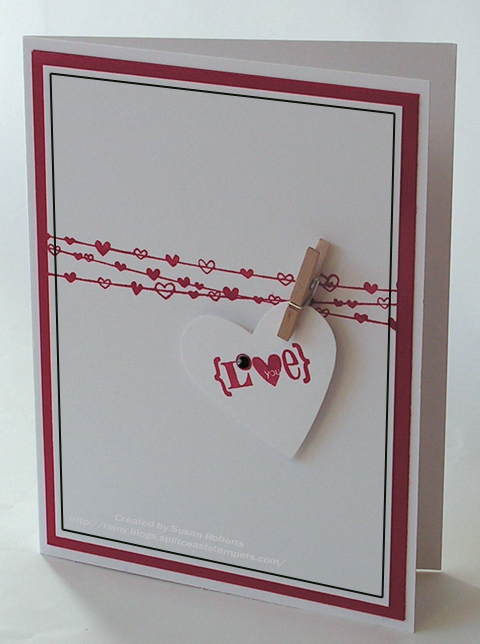 The third is a Clean and Simple card from today’s challenge at SCS. 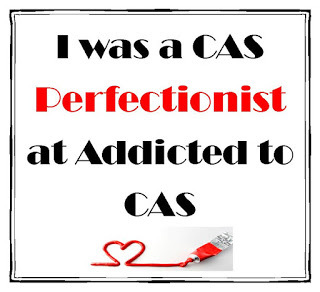 Since my DH reads my blog from time to time, I decided to wait until after Valentine’s Day to post the card I made for him. 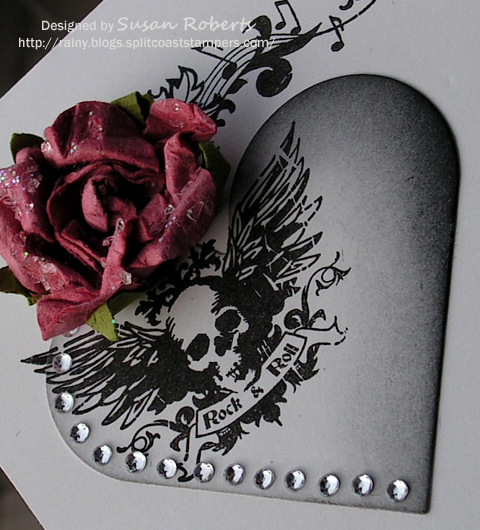 It is a CASE of one of Michelle Zindorf’s creations found here. 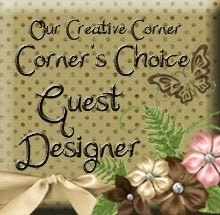 I just love all of Michelle’s creations… They are so enchanting! 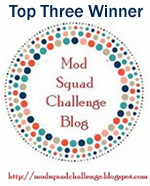 And this past weekend, I also played along in the Inspiration Challenge over on SCS. 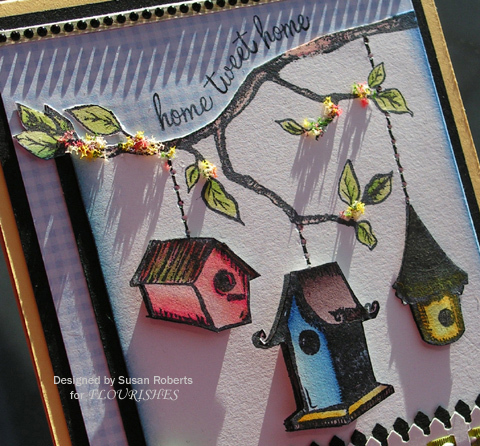 Not only was I inspired by the inspiration piece for this challenge, but also by this card created by ilinacrouse. 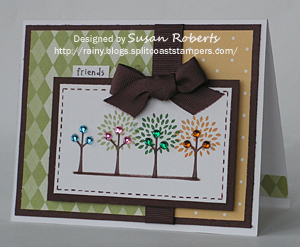 And finally, here is the card that was made for the Clean and Simple Challenge on SCS today. Thanks for dropping by today. 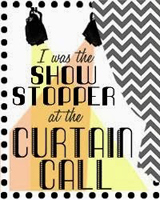 Hope that your week is a happy and crafty one! 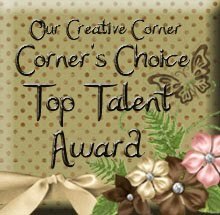 Crossed Fingers Wins Blog Candy! Guess those crossed fingers worked, Karen! 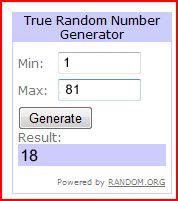 You are the winner of my blog candy. Congrats! “Hi Susan, please extend my Birthday wishes to your husband. 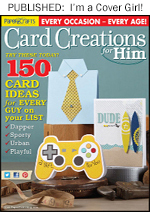 I am sure he will love the card, it is very manly. 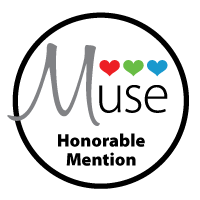 3 years of blogging is a large accomplishment. I appreciate the time and dedication involved in having a blog (this is why I don’t have one). I am one of the few people on the planet that don’t own any SU stuff. I think that owl is adorable. I have a collection of owl stamps, they are always so cute. 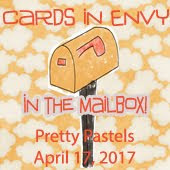 I’ll be contacting you so I can get your new SU stuff in the mail. Happy Crafting! It’s been 3 years today that I began blogging. 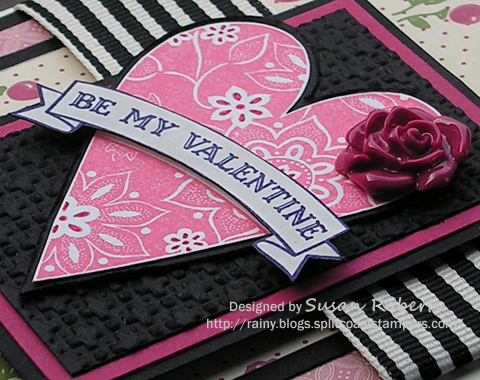 And last week Rainy Day Creations got a new theme with a new look. 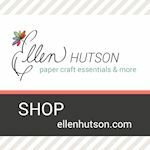 So I wanted to have a little blog candy celebration by giving away this new Stampin’ Up Sale-A-Bration stamp set called “Punch Bunch”. 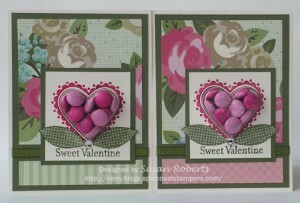 Also included in the blog candy is SU’s scalloped square punch. It coordinates perfectly with the birthday stamp in this set. Today is also my husband’s birthday. Not sure if I started my blog on his birthday to help me remember my blogoversary each year or to help me remember his birthday. I have been known to forget these sorts of things in the past. Oops. I even forgot our wedding anniversary once. 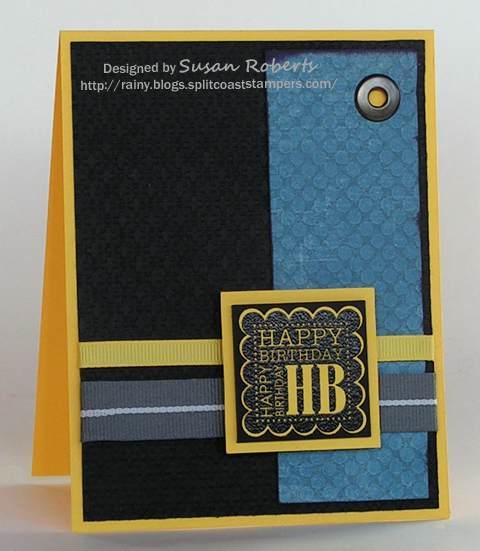 His card was made using the birthday stamp from my set (this set is brand new) and my scalloped square punch (again, the one pictured here is new). 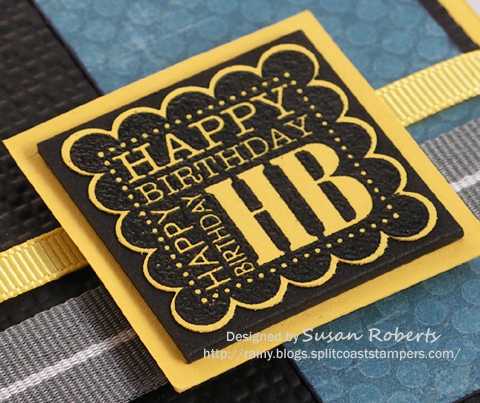 The sentiment was stamped on yellow cardstock with VersaMark and then embossed with black embossing powder. 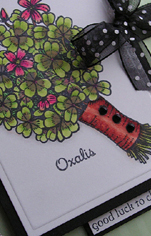 You can really see how the punch is slightly larger than the image so that a fine border is left after punching. LOVE the look! Okay so back to the business at hand! 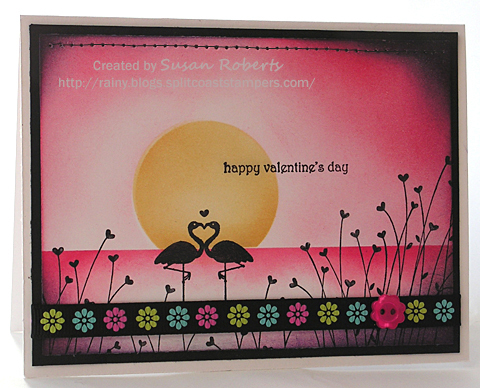 All you need to do to enter the drawing for this SU stamp set and coordinating scalloped square punch is leave a comment below on this blog post. 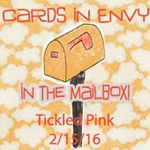 A winner will be chosen at midnight PST this Friday, February 18th, using random.org’s random number generator. 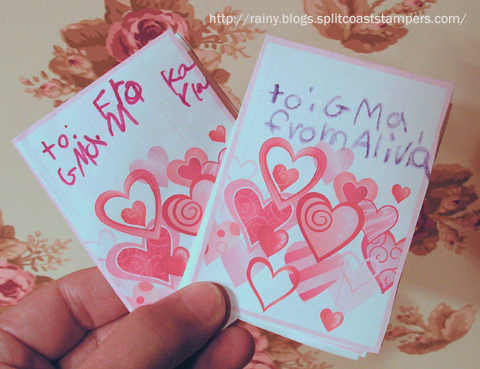 Received these in the mail yesterday from my twin granddaughters. 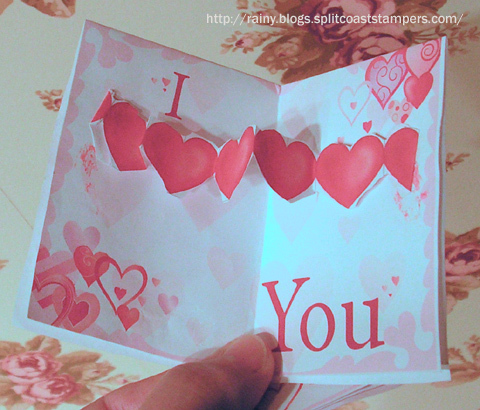 When you open them there is a string of 3-D hearts that pop up. They are SO cute! 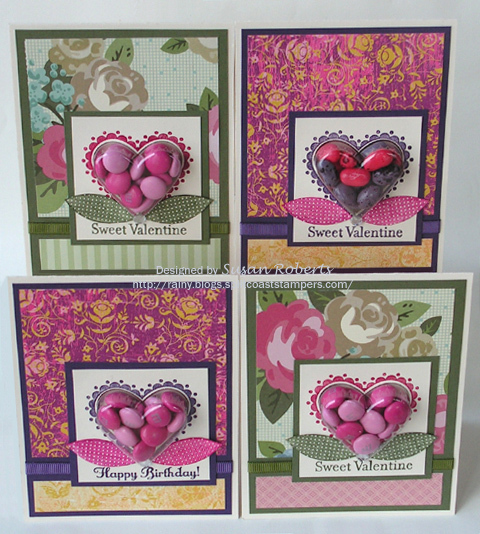 And as the Valentines from my granddaughters arrived for me, the Valentines below that I made for them were on their way to my sweet girls. It was a circle of love! 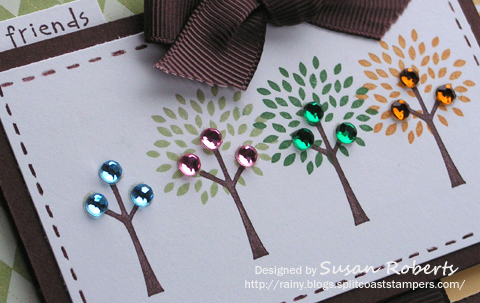 There is also a birthday card here for my great-niece. 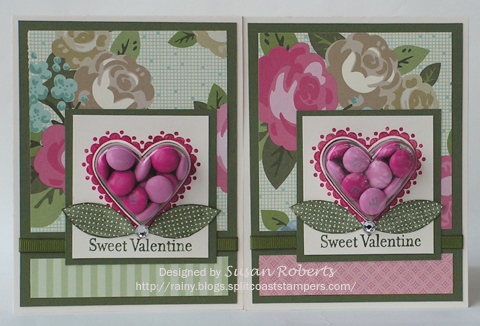 The candy in the heart shaped treat cups is accessible from the inside. I have a tutorial on the slider for these treat cups HERE. 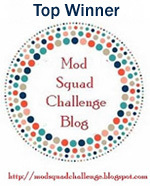 Next week my blog will be 3 years old! 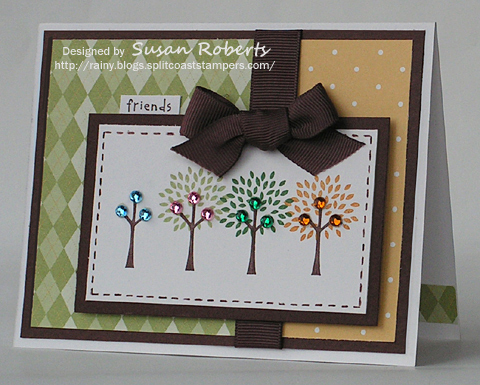 I have a brand new Stampin’ Up! 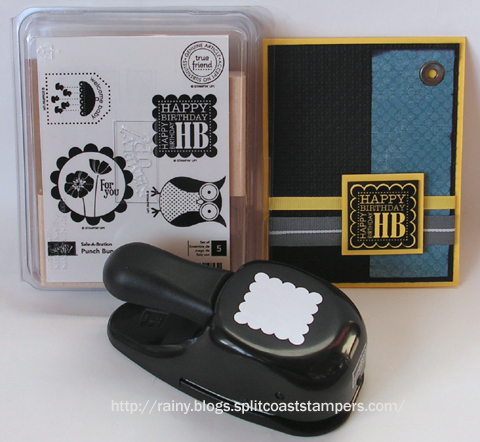 stamp set and coordinating punch to give away. Hope you’ll stop back in and help me celebrate. Happy Crafting! 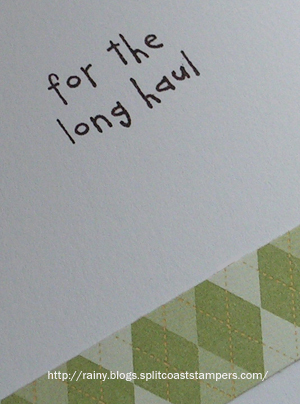 Friends… for the long haul. 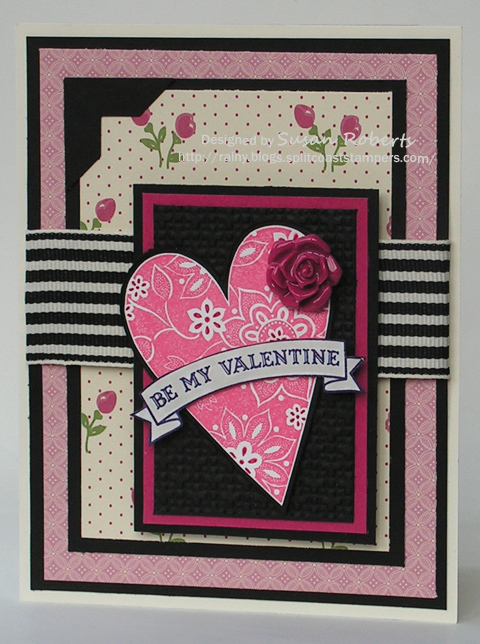 The second card is for today’s Sketch Challenge 318. 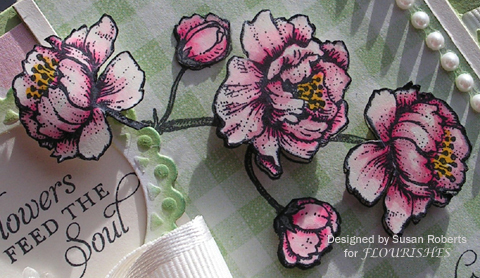 This new designer paper from Stampin’ Up is some of the prettiest EVER!! 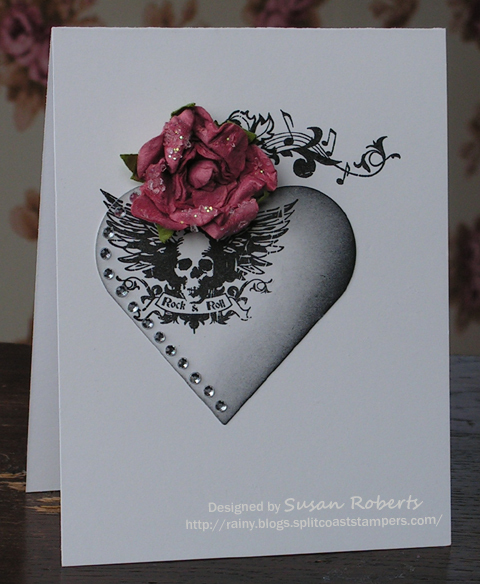 The heart was stamped with Regal Rose Ink. Then a few of the flower petals were colored in with a Rose Red Marker.